Increasingly people are having more leisure time and with that they are looking for longer holidays and trips abroad. 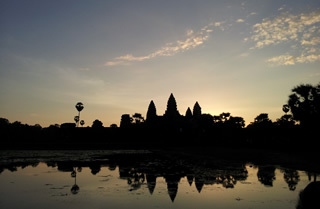 Destinations such as Southeast Asia involve a long flight from the UK and it seems a shame to go all that way and only experience some of the wonderful site, such as Angkor Wat (pictured above). This is particularly the case if you are going as far away as somewhere like Australia or New Zealand. Typically they involve two long haul flights, so it makes sense to seek a long stay out there. The best time to go is of course the winter time when it’s summer Down under! If you are older then finding long stay insurance might not be so easy, but there are options out there in the UK. Listed below are a number of long stay providers for the over 65s.